If you want to buy a single family home in Encinitas but don’t have the kind of money you might think it takes to do so, then I’ve got good news. 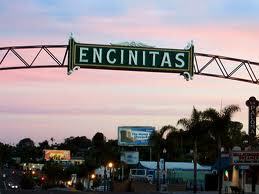 the Encinitas real estate market is full of options for all kinds of buyers. Starting from the top income levels there are certainly homes that break through the million dollar mark and higher in Encinitas, but if you’re pockets aren’t so deep you should know that the gorgeous town of Encinitas isn’t just for the upper 5% of Americans. Affordable single family homes in Encinitas range from older to newer models. Much like their more expensive counterparts they are often remodeled to max out their value, which is nice. The former owners understand how much a turn key presentation means to people looking to buy their house. For those homes that do need a little work, well there’s a way to get the price as low as possible in order to leave room in your budget to do all of that work. What is that “way”, you ask? Well, keep reading. OpenOffer.com makes it easy for anyone to buy a home in Encinitas. What OpenOffer does is give you the tools the professionals have in order to set your lowest price. You’ll get to see what others are offering for the house which is going to give you a real idea of exactly what the market is dictating the home is worth. You’ll get to set your own minimum you want to pay for the house and the maximum you’re willing to pay for the house. Then once the home either comes down and meets your desired price or comes up to hit your maximum you’re given the option to make the offer. It’s that simple. Basically what it does is make the price negotiating process easy to do and easy to understand. Which is great if you buying on a tight budget. People who are buying single family homes in Encinitas already enough on their mind. The last thing they need is to worry about all of the hoopla that comes with dealing with the negotiating. Let OpenOffer take the worst process of buying your home off your shoulders.